If you have ever played around on one of VW’s European websites, building your fantasy car with exclusive options that never see North American shores, you are likely familiar with the GTI’s siblings, the GTD and GTE. Now I live in Canada, and I wanted a GTD quite badly until quite recently. I never lusted after a which seemed like a compromise to appease hippies, and bring lemmings into showrooms with the promise of government incentives. Now while we do not get the GTE in North America, we do get its fraternal twin the Audi A3 Sportback e-tron. Last week I went to a dealership to try the Audi and found myself shocked at how great it was to drive. I was expecting a successor to the somewhat fun, previous generation A3 TDI. While the DSG gearbox and torque of the diesel made that car moderately entertaining, it was still less fun to drive than a base model Mazda3. What I got instead was an angry 1.4 litre turbo engine that was teamed up with an 8.8kWh lithium-ion battery pack making a combined 204hp and 258 lb/feet of torque. 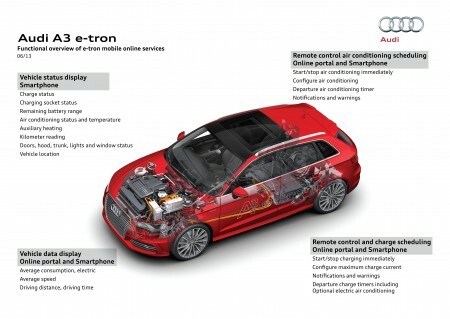 These are similar power figures to the current VW GTI which shares this same advanced MQB platform. While the MQB is known for being light, the A3 e-tron is a bit of a porker at 3400lbs vs the 3100 of the GTI. To turn up the fun there is a six-speed DSG gearbox that will keep this plug-in hybrid right in the heart of the power band. This is a car that your government likely is encouraging you to buy with incentives and perks. It’s a car that can drive about 30 miles on a 2 hour charge using a 220v outlet. It’s a car that gets you those hybrid charging spots right at the very front of the parking lot. A car that has an EV charge mode, and a hold mode to let you save the batteries for later has no right to be this fun! Not all is well and good in this Audi however. Prices start at just under $38,000 for a base model and climb to nearly $50,000 once you add LED lighting, sport package, a Bang and Olufsen and a navigation system that recognizes your handwriting. If you live somewhere like California where there are big financial incentives from multiple levels of government, you will get a decent sized stack of money for buying the Audi. But you will get an even bigger stack of money if you buy the greener, but smaller BMW i3. This is still an A3 and hence the entry level Audi in North America. Being a German entry level car, luxury touches like a heated steering wheel and cooled seats are absent. You can however get them on a Kia Forte. While the steering is communicative, the ride refined, and the handling impressive, the “panoramic” sunroof is hardly worthy of wide angle photo shoot. The old A3 had two smaller sunroofs that let in more light and made the cabin feel more airy for all the occupants. This is a decline in sunroofs! Audi also chose to ditch the spare to make room for the battery. On top of that they have tossed in a fair sized bag of charging cables. Could they not have engineered a bespoke compartment in the side of trunk? While the VW GTI and GTE are performance cars with options like dynamic chassis control, the A3 Sportback e-tron is simply a very fun, well executed, plug-in hybrid. If it were available with dynamic chassis control, I would already have my order in. But for that I will likely have to wait for the GTE to come across the Atlantic. As it stands, the e-tron is not only good enough for the average Whole Foods shopper, but it’s good enough for enthusiasts too. This Is The BRZ/FRS Turbo Kit You Have Been Waiting For!